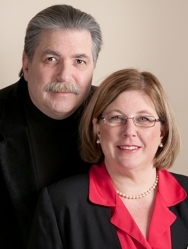 Since 2001, you have known us as Bob & Richelle Ward. We made the decision to rebrand ourselves as The Ward Team as this allows us to expand our business. We have a new unified brand and a continued commitment to provide the best client service in the real estate business. We are very excited to announce this change and present our new look to you. How Does Garbage Work in Newtown, CT? HOA Fees? In Newtown, CT?